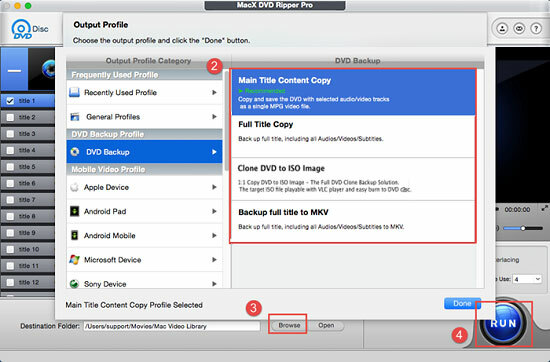 How to Copy Oscar DVD to Hard Drive, iPhone iPad Android Tablets etc. All these DVD movies from Oscar, like The Shape of Water, Three Billboards Outside Ebbing, Missouri, Dunkirk, Spotlight, The Revenant starred by Leonardo DiCaprio, Son of Saul, Room, Mad Max Fury Road, Oscar nominations, The Martian, Bridge of Spies, without a doubt, are the most collectable ones. In case the original gets damaged, you'd better make copies of Oscar winning DVDs for preservasion. Follow the guide below to decrypt and backup Oscar DVDs to DVD, computer hard drive and USB with untouched video quality, or rip Oscar DVD movies to MP4, AVI, MOV, MKV, FLV, other digital video formats, iPhone, iPad, Android tablets and phones for more convenient watching on the move. There is hardly any DVD ripper or copy software can defeat the copy protection put in place on DVDs of Academy Award films. But MacX DVD Ripper Pro happens to be the most feasible tool that can decrypt any Oscar DVD encryption tech, Disney DRM, CSS, Region Code(1-6), UOPs, etc, making it easy to copy Oscar DVD to DVD PAL/NTSC, USB, VHS, NAS, Hard Drive, Micro SD card in ISO image or MPEG2 at 1:1 image ratio. Besides, it can rip Oscar DVDs to MP4, HD MKV, MTS, M2TS, AVI, MOV, MP3 various digital video audio formats with nearly original quality. Equipped with 300+ preset profiles, the best Oscar movie DVD ripper Mac/PC gives an easy access to rip Oscar winning DVDs, such as The Shape of Water, Three Billboards Outside Ebbing, Missouri, Darkest Hour, Get Out and more to iPhone XS/XR/8/X/7/SE/6s/Plus, Galaxy S8/S7/S6/Edge, iPad, Apple TV, etc. in 5× faster speed. The Oscar DVD ripper has a nice look, and it is easy to use for top Oscar movies on DVD copy without complicated options to choose from. Follow the step-by-step below to copy Academy Award–winning films DVD movies. 1Free download the copier for Mac(macOS Mojave supported) or download Windows version(Win 10 supported) and run it. Insert DVD disc, click "DVD Disc" to load the disc info. 2Choose output profile. The "DVD Backup" section provides 1:1 Main Title Content Copy without extra menus, Full Title Copy with all the movie titles, Clone DVD to ISO Image to copy protected DVD to DVD , backup full title to MKV with single HD Oscar DVD movie file copy. You are also allowed to copy Academy awarded DVD to Apple Devices(iPhone XS/XR/X/8/7/6s/Plus, iPad Pro, Apple TV), Android Mobile(Samsung Galaxy S9/S8/S7/Edge/Note etc. ), head to General Profiles to convert DVD to MP4, AVI, MOV, WMV, MKV, FLV, and many more. 3Click "Browse" to select a folder to save Oscar awarded DVD movies copy. 4Click "RUN" button to start Oscar DVD copying process on Mac or PC. Tips: The Oscar DVD copy software can get around DVD copyright protection and select out the right title automatically, including new movies on DVD. You can select "Safe Mode" above the "RUN" button, which helps recognize the movie main title. Note that the original Academy Award–winning movie DVD encryption is not removed but the copies are non-protected. All the Oscar awarded DVD movies copies are only for personal use. For users who want to watch copied Oscar winners on iPhone iPad, just transfer the digital video files to mobile devices. MacX MediaTrans is easy to pick up and gives very fast transfer speed. There's no file size limits, no much waiting, no iTunes hassle with the iTunes alternative Mac. It can also free up your iPhone iPad etc. files without deleting them by moving them to Mac/PC as backup. It comes with many other features, like photos, music, ringtone, voice memo etc. data transfer, file management/backup, and more. Notice: We only advocate copying and ripping Oscar DVDs under the concept of Fair Use and don't encourage any illegal reproduction or distribution of copyrighted content. Please abide by the local DVD copyright law before doing it. The Oscar DVD copy tool includes simple but useful movie editing features for serious users. Users can add subtitles to converted best Oscar foreign language DVD films, like Son of Saul, A War, Theeb, Mustang, and watch ripped Oscar winning DVD movies without language barrier. You can also trim, crop, merge the DVD movies, change aspect ratio, video bit rate, compress DVD movies, repair scratched Oscar classic DVD movies, and more. Other abilities like ripping Oscar DVD movies to MP3 audio, extracting best original song from Oscar movies on DVD gives the Oscar movie DVD ripper a leg up on competition. In fact, the software does a good job in Oscar DVD movie playback as well, even compared with some professional Oscar movies DVD Player. 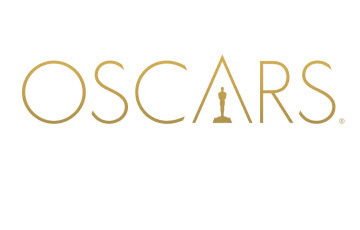 Here are picks of best Oscar movies on DVDs, The Shape of Water, Three Billboards Outside Ebbing, Missouri, Dunkirk, Moonlight, La La Land, The Revenant, Big Hero 6, The Martian, Bridge of Spies, Room, The Big Short, Inside Out, Titanic, Avatar, raging from 90s to date, action to horror. Don't forget to copy Oscar DVD from Disney, Hollywood and protect your valuable Oscar winning DVDs with free DVD copy software. Best DVD copy protection software is introduced here. Free download top DVD copy protection removal software and learn how to copy protected DVD from Disney, Warner, Paramount etc. on Mac(Mojave included). 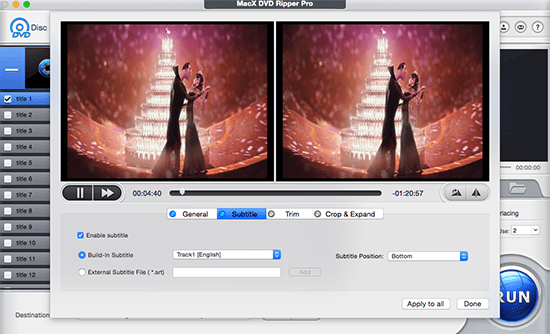 MacX DVD Ripper Pro is the best Oscar DVD copy software which can freely remove any DVD protection and rip/convert any new copy-protected DVDs to various video formats (MP4, MOV, MKV, AVI, FLV, etc) and portable devices with original quality.